I’m writing these lines when it’s three months to the day since Hurricane Maria passed through Puerto Rico, an island that’s still trying to recover from the devastating knockout that left it in the dark, seeing a bunch of stars. On the 20th of September, the bravest wind that has ever blown over the Caribbean tore down trees and street lights, zinc roofs and country houses; vanished beaches and roads... and turned off the radio. With no power, no drinkable water, no communication, no cash, no medicine or gasoline, and above all without political will... Maria forced many Puerto Ricans to leave the island. And it continues to do so for one simple and dramatic reason: for so many people, the day-to-day has become a matter of life or death. Now we no longer discuss migration from Puerto Rico as a slow trickle, but as an abrupt exodus that, only three weeks after the hurricane, had already put more than 58,000 islanders in Florida and that, according to projections of the Center for Puerto Rican Studies of the Hunter College of the University of New York, will make the American colony lose 14% of its population by 2019. In other words, a little more than 470,000 people, almost the same number of those who left the island due to the economic crisis during the last decade. Among the displaced by Maria is Raúl Berríos: father, musician, teacher, recycler and survivor. In that order. Raúl is a 64-year-old optimist. The son of Luis Berríos - a Puerto Rican trumpeter who was part of the orchestra led by Arsenio Rodríguez, "el ciego maravilloso" - and María Luisa Sánchez Cortijo; he literally breathes thanks to music. A native of the Obrero neighborhood, in Santurce - one of those sectors of San Juan where the inequality between rich and poor is perceivable just around the corner - Raúl says that to swim against the stream was what saved him from all the bad that happens to someone who lives in poverty. His father, knowing that an artist's life is not an easy choice, put him to study turnery; but that wasn’t his thing. All he felt was music, the one he carried in his DNA, the one he heard on the streets of his neighborhood, the one he started playing on a tin drum that a teacher gave him when he was nine. This is how he graduated from the University of Puerto Rico. This is how he spent thirty years teaching music at the School of Fine Arts of San Juan and Carolina. This is how he set up his own Big Band, how he directed the Blind Jazz Project and how he created the Museum From Africa to the Caribbean in Loíza - that African enclave that survives the passage of time and hurricanes, and from where Raúl has made an invaluable contribution to the reconstruction of the musical history of his island. This is how he channels and carries his Ecomusiclaje everywhere he goes, a project that has been recognized, among others, by the UN for its pedagogical, cultural and environmental value, and with which he teaches to children and adults the musical value of the most unlikely objects: from a can of tuna to a urine-test jar. This Caribbean Don Quixote doesn’t walk alone. He has his own Sancho, a 9-year-old partner in crime. Asaf is his engine and his apprentice. 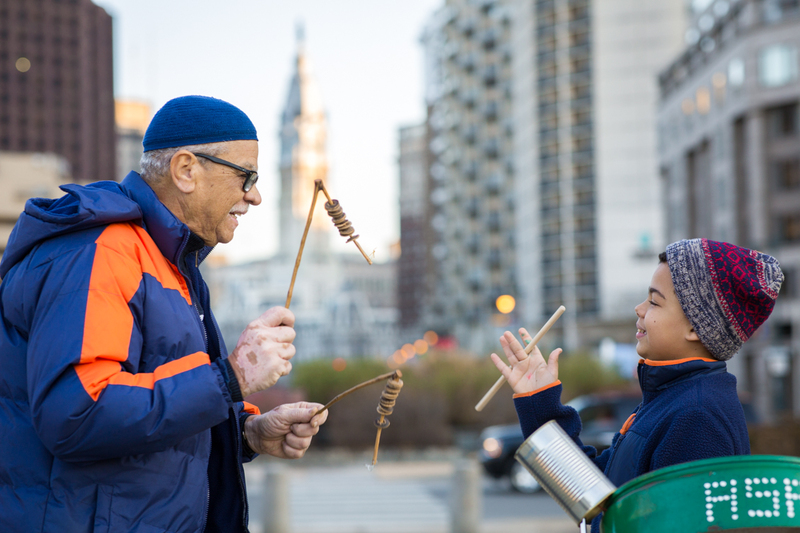 And as tiger’s cub comes with stripes, the young boy also carries the music in his veins: he plays piano, trumpet, and a steel drum that gives a tropical air in this cold Philadelphia city. They both arrived at the beginning of October, forced by the vital need to improve their situation after the hurricane and thanks to the mother of the child who wanted to keep him close. Asaf’s school remained closed for almost two months, and his health began to wane due to the lack of food and the consumption of contaminated water. Raúl was also affected by the lack of everything, especially money and medications. He defines himself as "a cancer survivor patient" who needs to receive a leuprolide shot every three months, a potent drug that inhibits the production of testosterone (essential to prevent the disease from spreading) and whose dosage costs $6,000. The last time he had it was in August. Since then his only therapy is music. He describes his health situation as that of a doll that sometimes runs out of batteries and stays there quietly, "but when there is music I wake up and that keeps me active, always forward, always positive," he says. To this chain-percussionist the note drops when he remembers the early morning of September 20, "that was the longest night of my life," he says. “I can’t find the words to describe it. 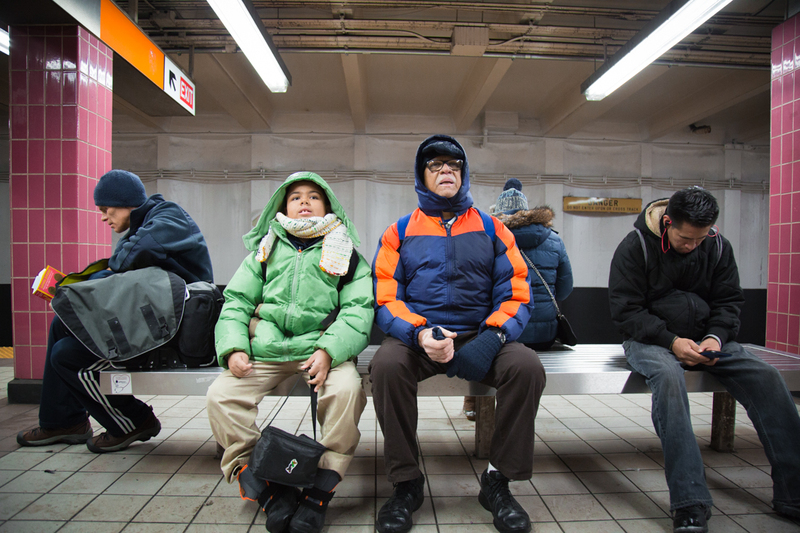 To wake up and see [what the wind took], that was very strong for my son and me." He feels heartbroken when he remembers the time a taxi almost ran over his child in the heart of Philadelphia, or when he talks about the pain inside. He says with regret "there is no doctor who risks giving me the injection because it is so strong that it is impossible if I don’t have the medical record." This is where the tragedy of Hurricane Maria lies: to have made something as simple as sending documents, from one place to another in "the same country", an impossible task. The lack of telephone, Internet and even postal services keeps Raúl's medical history inexplicably entangled in the archives of the Municipal Hospital of Carolina, where today it is useless. He says with an unwavering voice, "in order to work, I need to be in good health. I have to save this child, who is my traveling companion." And so they go, little by little, conquering spaces. He and Asaf are one of the first families served by the Disaster Assistance Services Center (DASC) and in which several federal, state and local public entities participate, along with organizations such as the Salvation Army and the Unidos Pa'PR campaign (which brings together Latino organizations and leaders). 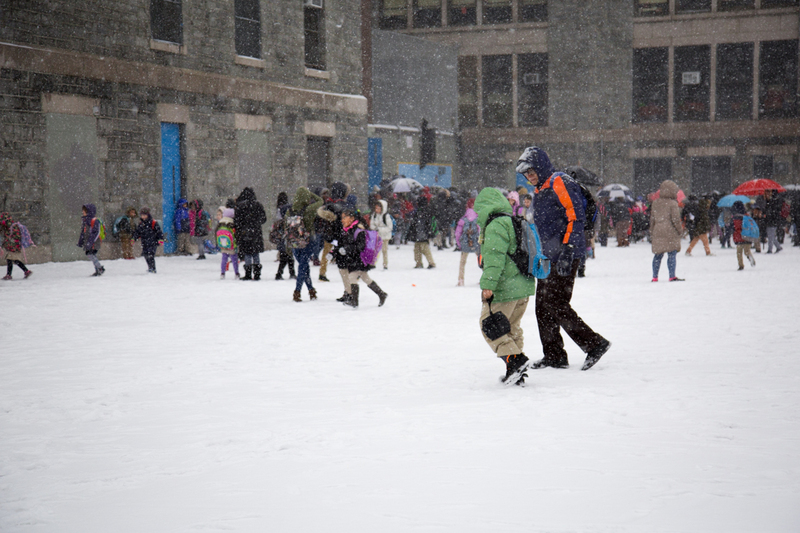 According to the Office of Emergency Management (OEM), as of November 17, Philadelphia had treated 1,284 people and 586 families affected (584 from Puerto Rico and 2 from the Virgin Islands). 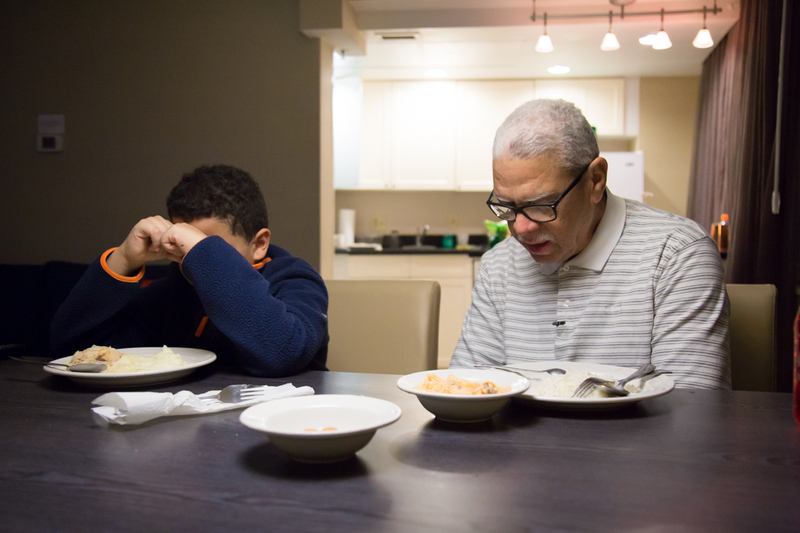 The victims of Hurricane Maria all arrived in Philadelphia by their own means (without any help or state incentive) since FEMA did not declare Pennsylvania as a receiving State of the exodus. Of the people served by the different organizations that make up the DASC, 507 registered as adults and 287 as children or adolescents, the majority under 12 years old. Almost all have the same need: work and decent housing. Precisely that has been one of the most complicated things for Raúl and Asaf, who have been moving in circles during the two and a half months they have been here. First they were in New Jersey, then in South Philadelphia and now they are temporarily in a downtown hotel. What will tomorrow bring? They don’t know, perhaps they’ll have to go north, where the majority of his community is concentrated. Raúl confesses that he feels intimidated by the city and that his sense of direction is pretty much useless. His daily routine begins early: he takes Asaf to school (in the south of the city) and then set off on his way north, where he basically seeks three things: to resume his treatment against cancer, a space to give continuity to his artistic projects, and a decent housing for both. That's where the money from the pension and the days go: jumping from one place to another, looking for a home, for health and for a job. We already said that Raúl Berríos is an optimistic man; the fact that he is capable of extracting music from a can of tuna should be sufficient proof of his unwavering will to enjoy what life has to offer. And if for now there is no Lupron, then there is enough music to keep moving on. "Cancer does not discourage me at all, quite the opposite: taking advantage of time, working with children and making music - for me - is what helps me most to keep my mind positive," he says. Despite the difficulties, the mortgage on his house in Puerto Rico, the lack of continuity in his treatment and the uncertainty of finding an affordable and safe place to live with Asaf, Raúl keeps his head above the clouds. In fact he smiles and keeps up the pace with his drumsticks. 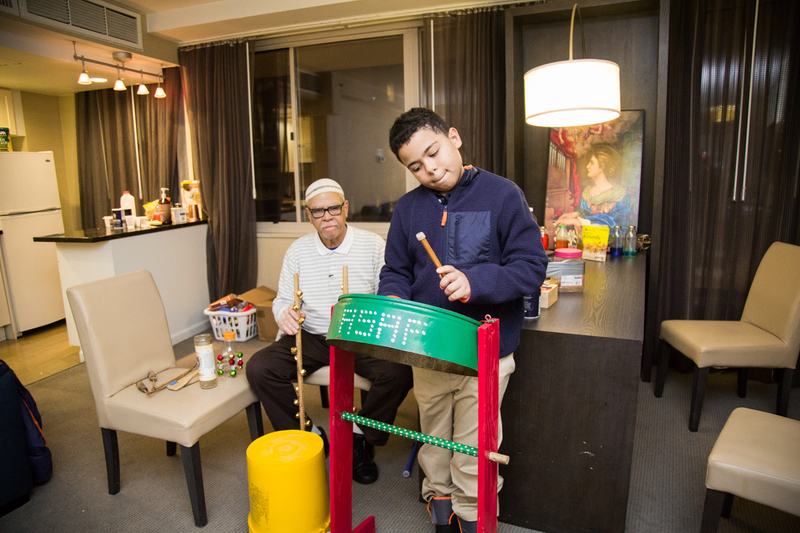 About Philly, he says that "I’ve enjoyed being here because I have been able to continue making music, my child has tremendous music teachers in school that will continue to help him with the piano and the trumpet". "I am in the zone where the culture is, where the fine arts are, where the museums are ... I have been able to see so many things that, one way or another, I am going to enjoy in the middle of these years that I have left", he adds. 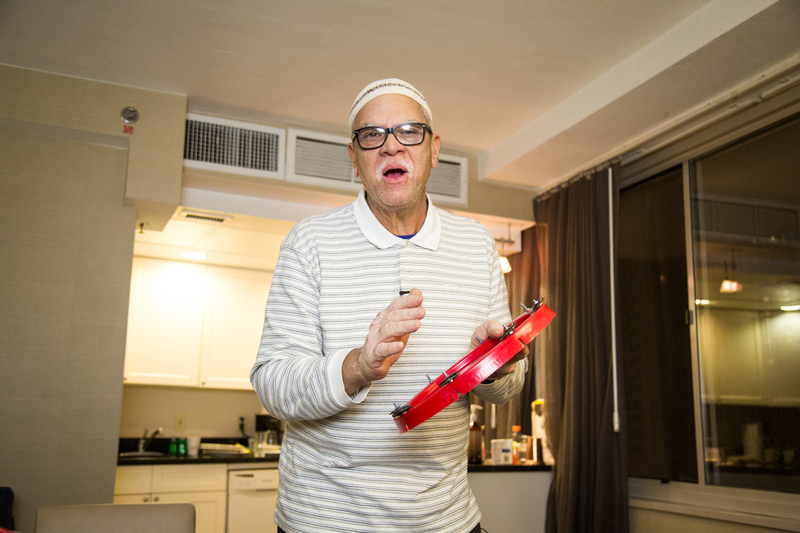 This master of music and life wants to form his own big band and the truth is that he is not far from achieving it: you just need to go to any Puerto Rican party or to any concert pro Puerto Rico, to find him somewhere playing with his son, both stealing the show behind the scenes. Hopefully they will find the safe home they deserve. Hopefully, the medical treatment will restart as soon as possible - this is urgent. Hopefully the doors will continue to open for him and his son: two Puerto Ricans who shine with their own light and are part of the musical legacy that the island has left to the whole world. I hope that Philadelphia allows them to show that Hurricane Maria could take many things, but never the strength and dignity that Puerto Ricans have to get up and start over.